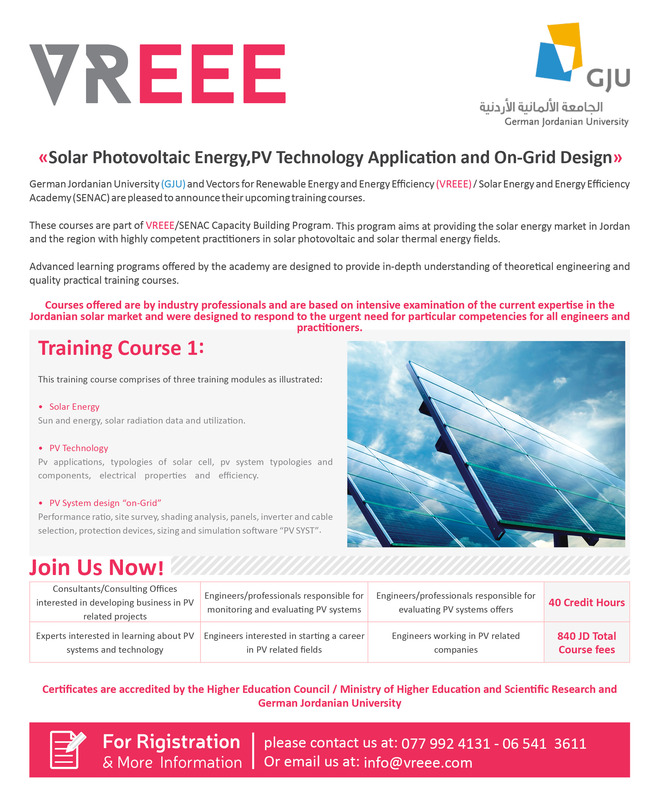 Are you interested in solar/renewable energy and photovoltaic PV systems? 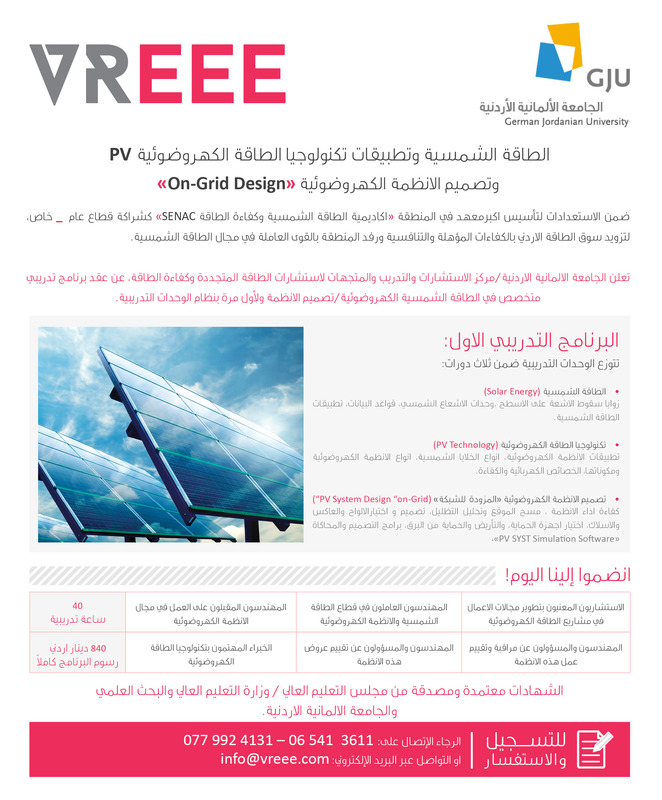 VREEE is a licensed Third Party Consulting company to practice within the energy industry in Jordan. VREEE is registered under the name of Vectors for Renewable Energy and Energy Efficiency L.L.C. VREEE @ 2017 All rights reserved.